Restaurants, hotels, hospitals, correctional facilities, and bakeries all have something in common: They utilize equipment for foodservice preparation. For many who choose to bake items fresh, they also have to have a little know-how on the art and science of baking! Whether you want to save money, offer artisan options, or just simply want to try something new, house-made baked goods can add an extra element of uniqueness to your restaurant and elevate the perceived value of the meal! House-made goods require planning and accurate preparation. Still, there is a standard list of essentials that work well for most foodservice operations. 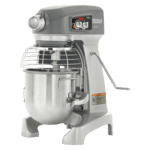 The list of essential equipment for baking can be extensive, but knowing what to expect is key to hitting the ground running. Starting with your kitchen as a whole, the environment for bread-making has to be stable and moderately humid. 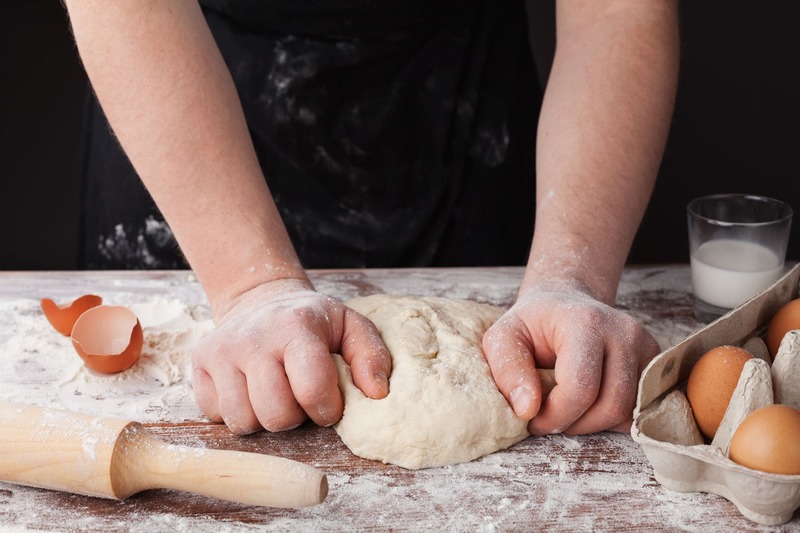 Many restaurants lacking a designated and regulated baking area in turn adjust more often for the changing variables, such as the heat from a nearby pizza oven, the cold blasts from the opening and closing of a refrigerator, or simply seasonal changes. Dough retarding boxes are the perfect solution for most kitchens, solving temperature and humidity issues with a single piece of well-rounded equipment. Perhaps the most important piece of equipment for a bakery is a convection oven. After all, it is called a bakery; You’ll want to invest heavily in the right baking equipment. 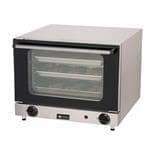 Convection ovens are unique in that they blow air into the cavity and over your baked goods which results in evenly browned cookies, perfectly baked pastries, and uniformly browned cakes! Take the time to estimate whether you’ll need a single or double-decker oven, and ensure that it will fit in your design plan. If you’re stuck wondering whether or not to spend the extra money on a better oven unit, always lean towards spending more since quality ovens are key to perfect products in the bakery business. An absolute necessity for bakers who intend to bake breads is a proof box or cabinet. These allow for bread to be rolled and proofed in a controlled environment and at recommended temperatures. While this equipment takes up little space, items such as doughnuts, bagels, and breads can all utilize this singular item! This piece of equipment is ideal for anyone who plans to bake a lot of pie crusts, croissants, and yeast donuts, as a sheeter will cut down on time and labor costs. Ideally, you’ll assemble the sheeter in a workline where your sheeted dough can be cut and shaped immediately beside it for quickest and most efficient production. A focal point to any bakery (especially one that creates a lot of cakes) is a mixer. Similar to an at-home mixer, these can hold up to 140 quarts - 30 to 40 quarts is usually plenty. With a wide array of sizes, you can choose the right size for your predicted output. Be sure to invest in the right attachments for the jobs! Racks and sheet pans are essential for an organized kitchen. They take up little space (especially when in storage), so investing in ample amounts of sheets can help during peak times! These are great as cooling racks, storage, and drying racks. Invest in a tall rack to stand beside your oven for cooling hot pans as well as a short under-counter rack for drying royal icing and fondant decorations. While these pieces of equipment are specifically important to bakeries, you’ll want to also consider the standard list of kitchen items as well (work tables, sinks, freezers, etc.). House-made baked goods have a lot to offer, giving your customers yet another reason to continue returning to your restaurant. Take the time to learn the science behind the baking, and invest the effort into creating the right environment and the money for the right equipment.